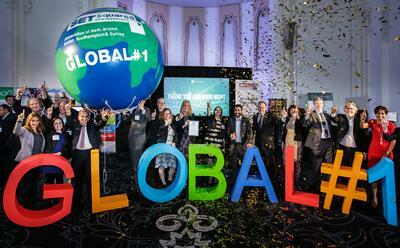 SETsquared, the enterprise partnership of the universities of Southampton, Bath, Bristol, Exeter and Surrey, has been ranked by UBI Global as the top university business incubator in the world. The announcement was made at the at the SETsquared Accelerating Growth investor showcase event in London last night. David Bream, SETsquared’s programme director in Southampton, said: “It’s an incredible achievement to be recognised as the top university incubator in the world, and we’re all delighted by the news. Team SETsquared has worked extremely hard to fulfill our commitment to helping entrepreneurs and start-ups and this top ranking is a real testament to the skill and innovation of our staff and the success of the high-tech, high growth potential ventures we work with in Southampton and across the south of England. Data security, software and telecoms feature prominently among the ventures supported by SETsquared in Southampton, which is located at the University's Science Park in Chilworth The centre offers state-of-the-art incubation facilities including workstations, reception services, flexible meeting rooms, broadband connectivity and wireless LAN. From start up only 13 years ago, SETsquared has supported over 1,000 hi-tech start-ups to develop and raise more than £1bn of investment, as well as contributing over £3.8bn in GVA (Gross Value Added) to the UK economy with further £15bn contribution estimated over the next 10 years. The partnership currently supports 265 companies across its centres and has created over 9,000 new jobs, with an estimated 14,200 to be created by 2025. The UBI Index is the first global index to benchmark the performance and best practice of university business incubators. The organisation already held continental rankings around the world, culminating in the global ranking event in London.